Okay gals now that we have some boxed ticked for Christmas shopping for the women in your life it is time to look for gifts for guys! See a gift guide for girls here. Guys can be a little harder to buy for in some ways because you want to think outside the box but it can be easy too because a lot of men will be happy with cologne or clothes. Whether you need to think of a gift for a boyfriend, brother, uncle, friend or dad this list should give you some solid inspiration to getting you on the right track. A drone is one of those things that has made it to the top of many wish lists this year for men and women. This is something that some men might like the novelty of for Christmas day and get a couple of weeks of fun out of and others might take it really seriously and actually be super into photography and videography - whatever kind of man is in your life, there is quite a possibility that he would be delighted to receive a drone on Christmas day. Drones have built-in cameras and the price can vary hugely. There are some available in places like TkMaxx around the €70/€80 mark. Shop one from Harvey Norman here. Shop from Argos here (there are some for less than €20). Staying with the tech kind of guys - a little portable speaker can be a great gift. For music in the car to plugging into a laptop to watch a movie or series, this can be a helpful little gift that actually gets used after Christmas. Here's one from ASOS. Aftershave is always a winner with men, you really can't go wrong. They can be expensive so here are top three bestsellers if you are looking for a crowd pleaser. 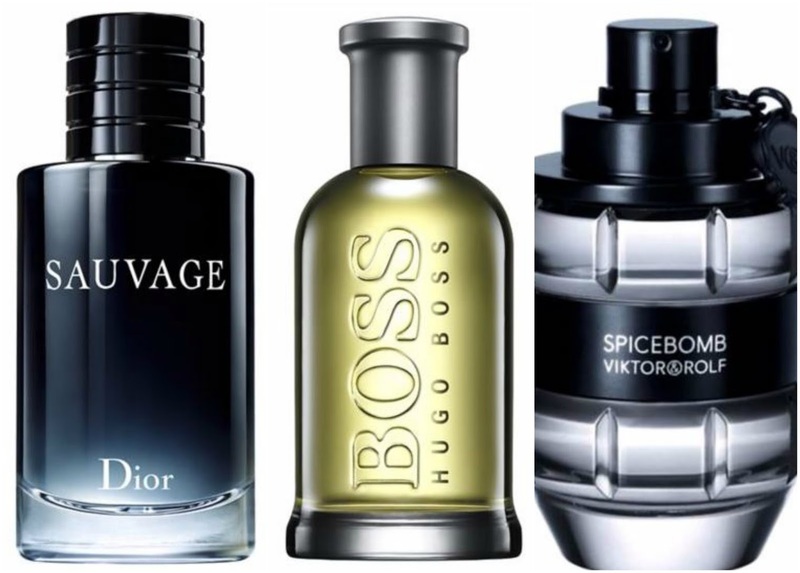 Shop Dior here, shop Hugo Boss here and shop Spicebomb here. 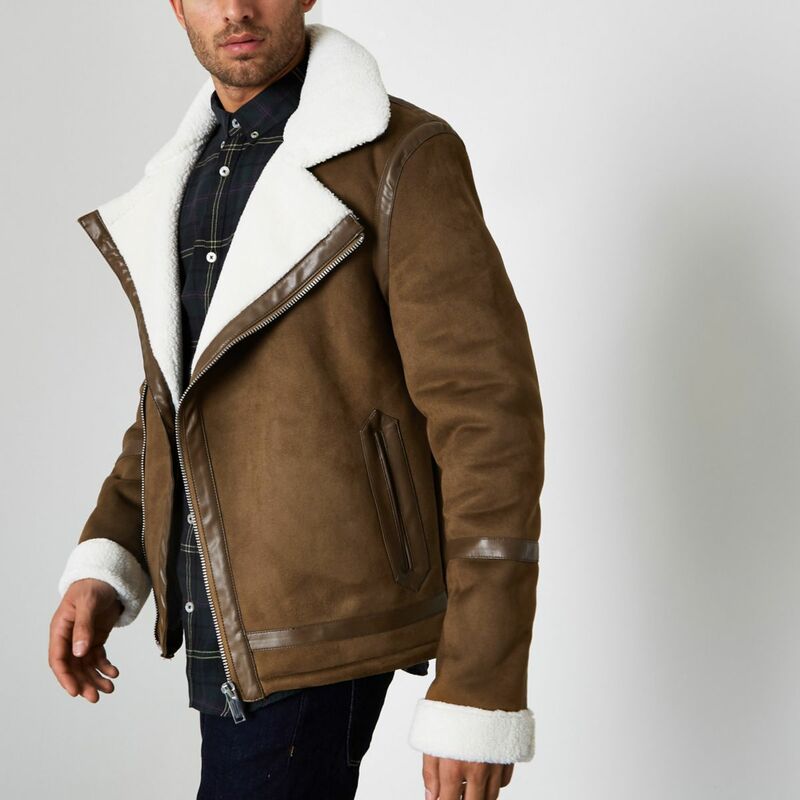 This brown faux suede jacket is super stylish for any fashionable man in your life! Shop here. 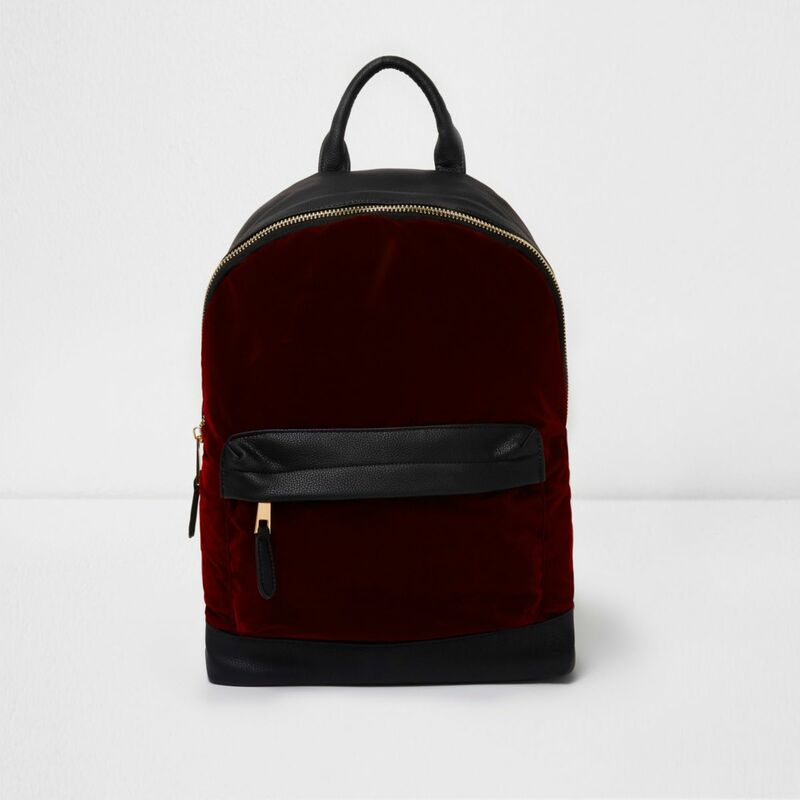 A backpack can be a handy little gift to give and this red velvet bag is really nice for this time of year. This could be a good gift for any man who needs a bag for college, work or sports. Shop here. 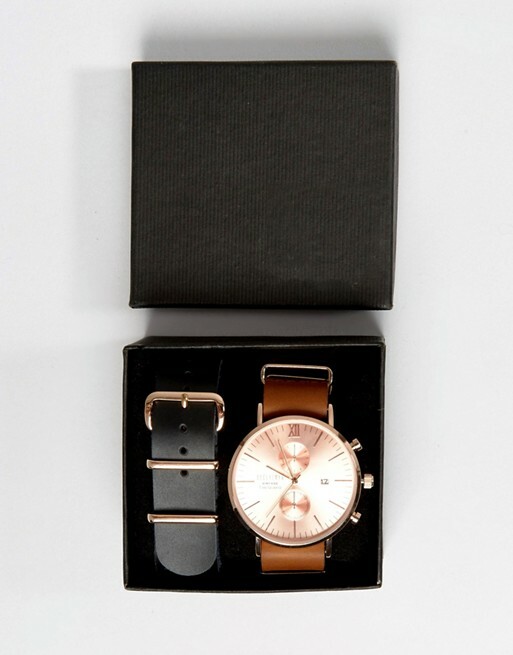 This reclaimed vintage watch is exclusive to ASOS and has interchangeable straps so the guy in your life can choose between a brown or navy strap. Shop here (super affordable).